Taiji Forum exists to showcase the many ways in which Taijiquan (Tai Chi Chuan), Qigong (Chi Kung/Chi Gung) and other Chinese Internal Arts are taught and practiced in Europe, the USA and beyond. Taijiquan and Qigong is enjoyed by millions worldwide. Whether you are a beginner, intermediate or advanced practitioner we include material that will help you to find out more about the art, find a qualified teacher, and get the best from your training. Over the course of these pages we’ve included in-depth articles on various aspects of tai chi, short, informative advisory video clips, video interviews on partner work along with brief qigong exercises to enjoy at home. With over 20 years of travelling to major tai chi and qigong meetings across Europe the producers of Taiji Forum have developed a close connection to key taijiquan and qigong practitioners of all styles and approaches to these multi-faceted arts. With the assistance of experts in their fields we are able to provide high-quality material. We do, however, remain open to receiving contributions from practitioners of all levels, whether it be technical articles, video films or reviews of events and good related to the practice of Taijiquan, Qigong, or other Chinese Internal Arts. We also offer the facility for teachers to list their classes, workshops and seminars to enable our users to further their training. One of the increasingly popular part of our site is the Media section where you can view videos where practitioners and teachers talk about their take on particular aspects while helping to clarify common errors in practice. Follow us on Facebook, Twitter or subscribe our Newsletter! will take place February 2020! 7 free Qigong basic exercises with free videos and instructions published already: FINGER STRETCHING EXERCISES, WRIST ROLLS, SHOULDER ROLLS, SHOULDER & HIP LOOSENING, TWO HANDS PUSHING SKY, WARMUP WAIST CIRCLES, OPENING / CLOSING a QIGONG ROUTINE, OPENING / CLOSING a QIGONG ROUTINE 2 and much more to come! What is Qigong? The Chinese way of cultivating life energy – is not one distinct set of exercises. Literally thousands of different sets (sequences of exercises) exist today. Their aim is to further individual well-being through meditation in movement: improving the coordination of body, mind and spirit while generating a gentle flow of chi (life energy) by means of fluent movements and conscious breathing is central to all Qigong exercises. Qigong overview It is estimated that there are around 10,000 various methods of Qigong (Chi Kung). There are Qigong forms named for nature – heaven, earth, The Five Elements (fire, earth, wind, water, wood). 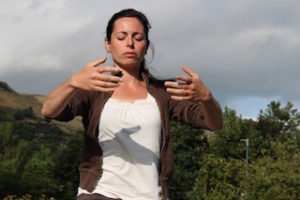 Qigong Exercises Within our selection of Qigong exercises key practitioners guide you through simple, yet highly effective Qigong routines, which will help to increase your energy levels, improve your focus and concentration whilst relaxing both your body and mind. From basic loosening up exercises and quiet, meditative sets through to gently relaxing routines like Taiji Qigong (Shibashi) we offer a number of ways for you to improve your health and vitality. 5 Animal Qigong Wu Qin Xi (五禽戏) – The Five Animal Frolics can be regarded as the earliest form of Medical Qigong in Chinese history, dating back to Eastern Han Dynasty. Instructions, Images and free pdf download! 5 Elements Qigong – Videos and instructions: Individual instructions for each of the five exercises can be found below, accompanied by separate videos. The theory which forms the basis of this first part assumes that attention, concentration and movement can activate and attract EMF (electromagnetic force) in points or areas of your body, and that – as the theory states – it is possible, by shifting your intention, to guide it through established pathways. The movement of intention (Yi) creates a wake of particles that can move through the tissues and liquids of your body. Try Qigong! Try some of our qigong exercises. Qigong Scientific Studies Scientific studies about the efficiency of Qigong face a double challenge. For one thing, the cultural background of Qigong leads to a specific view of the human condition, which in part conflicts with the Western view on the human body, which lies at the foundation of “modern” medical research. An additional problem is that scientific standard methods of medical research, which determine today’s Qigong research, are to some extent unsuitable to capture typical aspects of Qigong, due to the Western image of medicine and its rootedness in a distinct research tradition. Assessment of Publications on Qigong and Healing Some key points for the assessment of publications on Qigong and healing: What are possible clues for the assessment of a publication? Is a scientist a Qigong expert? Is a Qigong expert who really gets into the details of the art – i.e. „researches“ as part of his work – a scientist? What is Tai Chi? Tai Chi Chuan is a Chinese exercise system originally developed as a highly effective martial art it is now practised by people of all ages for a wide range of reasons. Your Tai Chi clothing should be comfortable and your shoes should be supportive, but light. Your Tai Chi clothes should allow all kinds of arm and leg movements. Wide – not too wide – and stretchy is to be preferred over tight and stiff. Tai Chi – Learning and Practising Tai Chi Chuan is a Half-open Door art. It has ceased to be an imperial, or aristocratic, or clan treasure hidden from outsiders, so it is no longer a Closed Door art. However, particularly for westerners, the door into Tai Chi Chuan is not wide open. Without the grounding in ideas, learnt “at your mother’s knee”, that a Chinese child soaks up, we can look at the players and still miss details. How long and how often should I practise Taijiquan or Qigong? Not unlike Japanese culture, the Chinese ideal for physical exercises is hard work. The Chinese word for that is “gong” (功). It is used in “Qigong” – working with the Qi, i.e. cultivating life energy – as well as in “gongfu” – referring to skills which are developed in a long work process. Gongfu applies to both martial skills and skills of a craftsman or an artist, in fact to all activities which need much effort to be mastered. How to find a good Qigong or Tai Chi teacher? – A small guide The title of a “teacher” or even a “master” or a “grandmaster” is not protected. Anyone can call him/herself “Qigong Master” or “Tai Chi Master” and open a school. So how to sift out the good ones? Prepare your Tai Chi / Qigong trial lesson Tips – Prepare your trial lesson- A good preparation is half of the pie! For your way to the Tai Chi / Qigong trial lesson, we have assembled a few hints and some questions for you to chew on. Interviews with the Masters View a series of interviews with Masters from various tai chi styles. Tai Chi Styles An introduction to the differing styles and approaches to Tai Chi Chuan. Slow motion of Tai Chi Chuan by William C. C. Chen Tai Chi Chuan, literally meaning “Grand Ultimate Fist,” is one of the most sophisticated Chinese fighting arts. It is a masterpiece of neurophysiology as the brain connects with the fighting devices of the fingers and the toes for punches and kicks. The desire force of Yi毅(力) in the brain amplifies the energy cell of Qi氣by passing through the acupuncture channel “Spleen 21” to animate fingers and toes into an action. The interrelationship of these invisible elements – the brain Yi developing the Qi in the fingers and toes to create the desired moves – is the result of the slow movements. Tai Chi Exercise for Senior The ancient Chinese martial art of Tai Chi Chuan is the perfect callisthenic for today’s seniors. The relaxed and unhurried movements help alleviate nervous and muscular tension. Tai Chi Chuan lubricates joints and promotes automatic body alignment for better control of balance, helping to prevent the instability that can lead to falls. European Teachers’ List Our teacher’s database is online and we’re adding new entries every day from all areas of Europe! You can search for teachers in whole Europe or make a free entry of your school. Tai Chi Martial Applications Find out about how tai chi can be applied as an effective martial art. Feeling the Tai Chi Form It is quite a difficult task to convey in words or images feelings and subtle movement. This must by its nature, be a very personal account of how one feels when moving through the various postures of a tai chi form. My teacher said to me” Tai Chi Chuan is not a technical exercise”. “You must feel your form and be aware of each of the movements as you pass through them”. Over the years this has meant a great deal to me. Tai Chi Spirit Some time ago, a student asked me “when do you get good at this?” This was someone with quite a bit of experience. My answer was, ”Practising is more important than being good at it”. The Eight Gates of Tai Chi Chuan In the work of tai chi chuan there are certain key aspects or qualities that should be trained to allow a fuller understanding of how the art works both as a health exercises and, more essentially, as an effective martial art. Five Faces of Tai Chi When people only know of or focus on one aspect of a system, they commonly mistakenly think they are able to discern all there is to it. Tai chi chuan and the related art of ba gua chang are many things under one roof. Traditionally both have five faces, some of which are more popular, well-known and more widely available than others. Each layer or face takes you closer toward the internal martial art’s deeper possibilities and full potential. Tai Chi – What’s to Like? In these pages various teachers from around Europe give us a few lines on why they like tai chi. Chinese Martial Arts Terminology Taijiquan, T’ai Chi Ch’uan, Taiji Quan or Grand Ultimate Boxing? Learn more about on differing conventions on how words are written and spelt. Tai Chi T-Shirts designs from around Europe. There are many ways in which we can present our schools or approaches to the art but the ubiquitous T-Shirt is by far the most popular. We’d like to share design concepts and welcome your contribution to this area – why not send us an image of your T-Shirt. Oh, Why Is It So Difficult? 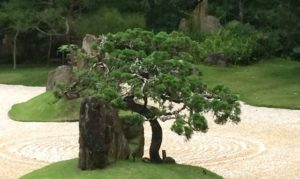 On the Difficulty of Lasting Change in the Practice of Taiji: Serious progress in the practice of taiji often requires far-reaching changes that can involve various levels of training. Christine Schneider investigates the question of why such changes are so hard to achieve and explains, on the basis of the teachings of Patrick Kelly, that a deeper level of consciousness is required for essential changes. How wrong can you be? 10 Common Errors in Tai Chi! Cheng Man Ching was also named the “Master of Five Excellences“. He was one of the first who taught Taijiquan in the West and his Taijiquan style is spread all over the world. Here you will find many articles about his teaching and how it is taught by his his students. Cheng Man Ching’s way of teaching (4): On being a master Cheng Man Ching’s teaching was marked by underlining sameness and diversity at the expense of hierarchy and difference. This approach formed the basis of his unique way of bridging the cultural gap between East and West. Cheng Man Ching’s way of teaching (3): On meditation Our idea of meditation is mainly influenced by two aspects, the visual and the practical aspect. The mind’s uniform picture of a meditating person is someone sitting still in a peaceful environment, in a monastery or on a mountain. Cheng Man Ching’s way of teaching (2): The Dantian The discussion about the nature of the Dantian is old and it remains unresolved until today: Is the Dantian a bodily, material reality or an ideal concept of Traditional Chinese Medicine to explain certain psychosomatic correlations? The debate cannot simply be described as a conflict between East and West or between Tradition and Modernity. 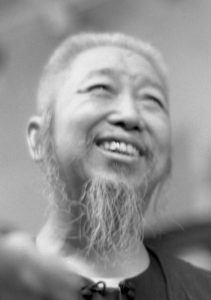 Cheng Man Ching’s way of teaching (1): “I am not a guru.” Cheng Man Ching, student of Yang Chengfu, came to New York in the 60s, at first teaching Taijiquan in the Chinese community, later also teaching Westerners. Being a university professor from a family of scholars and deeply rooted in traditional Chinese culture, he was confronted with flower children searching for a guru. Cheng Man Ching on the dao of Taijiquan – a poem Cheng Man Ching is portrayed by his students as an example of total dedication and commitment to the Chinese Arts, especially concerning Taijiquan. Self-massage as taught by Prof. Cheng Man Ching Cheng Man Ching was known as a master of the five excellences. As a teacher, he taught calligraphy and Traditional Chinese Medicine as well as Taijiquan, Push Hands and sword fencing. Advocating Taijiquan as a method of self-cultivation and health-preservation, he also used to teach his Taijiquan students aspects of other Chinese arts. Cheng Man Ching Yang style Professor Cheng Man Ching (1900 – 1975) learned Tai Chi Chuan in the tradition of the classical Yang style from Yang Chengfu in Shanghai. There he was close friends with Ma Yueliang, the representative figure of the new Wu style. After the death of his teacher Yang Chengfu in 1935, and with the permission of Chen Weiming, a student of Yang Chengfu, and his father Yang Jianhou, Cheng Man Ching developed the so-called “short form”, in which 37 positions are counted, from the the well-known long form with 85 or 108 positions, depending on how they are counted. My Father by Katy Cheng My father was born in the last century, well imbued with the traditional Chinese culture. But he was not weighed down by the old. He was open-minded, a tireless teacher, creating new ideas with full enthusiasm and keeping doggedly his principles in those fashion-filled times. After inheriting the past, he was a forerunner for the present, without being contaminated by the new heresies. Interview with direct Cheng Man Ching students William CC Chen, Benjamin Lo, Hsu Yee Chung and Hung Ping Chu answered question on Cheng Man Ching Tai Chi.